Join us on Saturday, June 9 here at McHale’s Bar in New York City for some live music and a Saturday session. 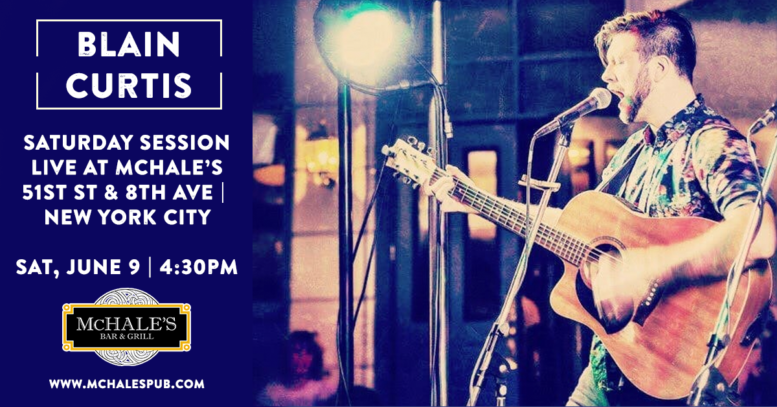 Our musical guest, Blain Curtis, comes fresh from the world famous Raglan Road Orlando at Disney Springs where he was the co-frontman for the house band – The Raglan Roots Coalition. This promises to be a great afternoon of music and there is no cover so invite your friends and join us! If you’re attending a nearby Broadway show join us after or before! As part of our weekly lunch special NYC series, this week’s ‘Sandwich of the Week’ at McHale’s is our Ham & Cheddar Panini. Black Forrest Ham and Cheddar Cheese with Lettuce, Tomato and Chipotle Mayo. Served with French Fries. 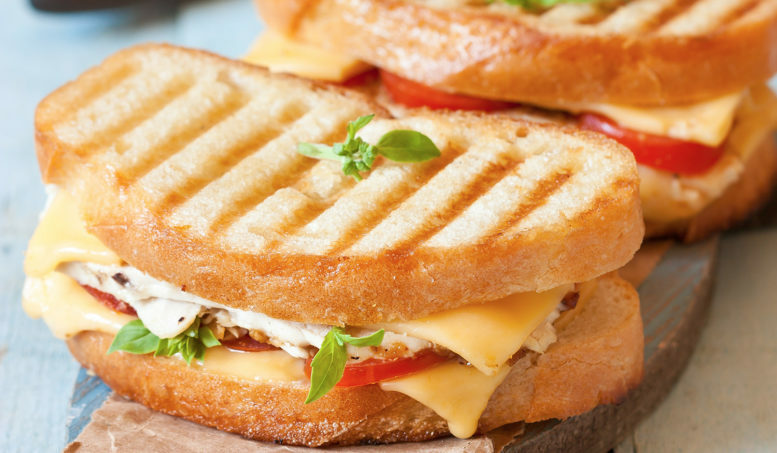 This Sandwich comes with a glass of wine or a beer all for only $12. You won’t find a better lunch special in the neighborhood. Check back each week because we’ll always have a new SotW. This special runs from Monday, June 4 throughout the week. 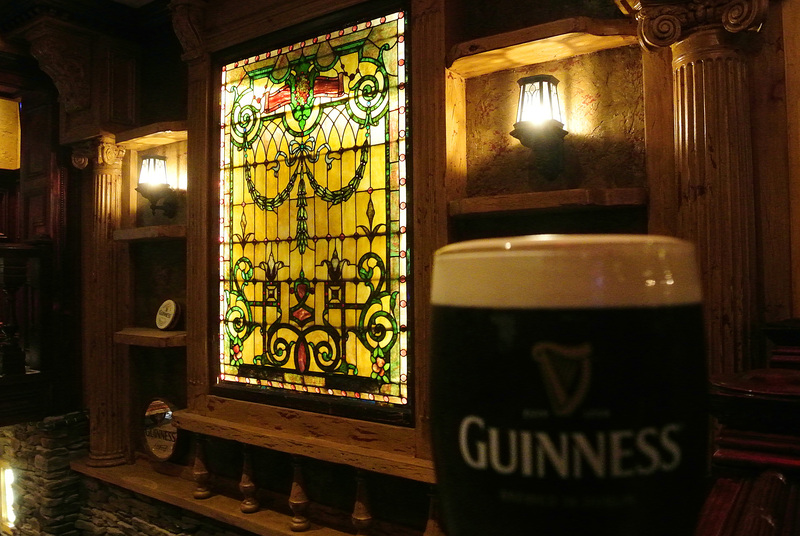 We are delighted to announce that Overheard at Joe’s, the “immersive theatre experience set at your local bar”, will be hosting their official Opening Night here at McHale’s Bar on Tuesday, May 22. Shows will continue to run right here every Sunday, Monday and Tuesday evening! We are very excited to be hosting what is a very unique experience and comes with an abundance of great reviews from all across the Country as well as special musical guests at every performance. Please spread the word and we’ll hope to see you here in the heart of the theatre district for a great time and a great show! As part of our weekly lunch special NYC series, this week’s ‘Sandwich of the Week’ at McHale’s is our Curry Chicken Salad Sandwich. 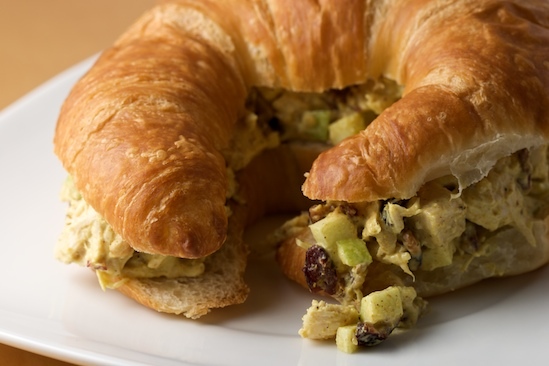 White Meat Chicken and Green Apples Tossed with Curry Mayo Served on a Buttery Croissant. Served with French Fries. This Sandwich comes with a glass of wine or a beer all for only $12. You won’t find a better lunch special in the neighborhood. Check back each week because we’ll always have a new SotW. This special runs from Monday, May 21 throughout the week. As part of our weekly lunch special NYC series, this week’s ‘Sandwich of the Week’ at McHale’s is our Turkey & Avocado Sandwich. 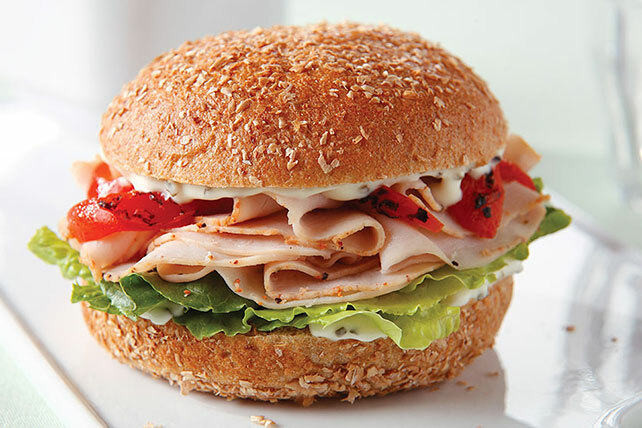 Turkey and Swiss Cheese with Lettuce, Tomato and Avocado on a Sesame Roll. Served with French Fries. This Sandwich comes with a glass of wine or a beer all for only $12. You won’t find a better lunch special in the neighborhood. Check back each week because we’ll always have a new SotW. This special runs from Monday, May 7 throughout the week. As part of our weekly lunch special NYC series, this week’s ‘Sandwich of the Week’ at McHale’s is our Caribbean Jerk Fish Sandwich. 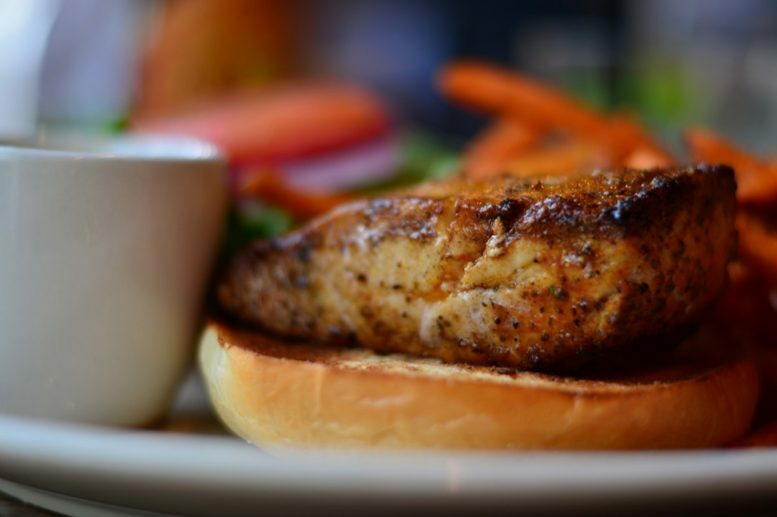 Pan Seared Spiced Mahi Mahi with Lettuce and Tomato Served on a Brioche Roll and Topped with Pineapple Salas. Served with French Fries. We are delighted to announce that Overheard at Joe’s, the “immersive theatre experience set at your local bar”, will be hosting its NYC previews here at McHale’s Bar for 14 shows throughout April and May. You can RSVP and invite your friends on facebook by clicking here. We are very excited to be hosting what is a very unique experience and comes with an abundance of great reviews from all across the Country. 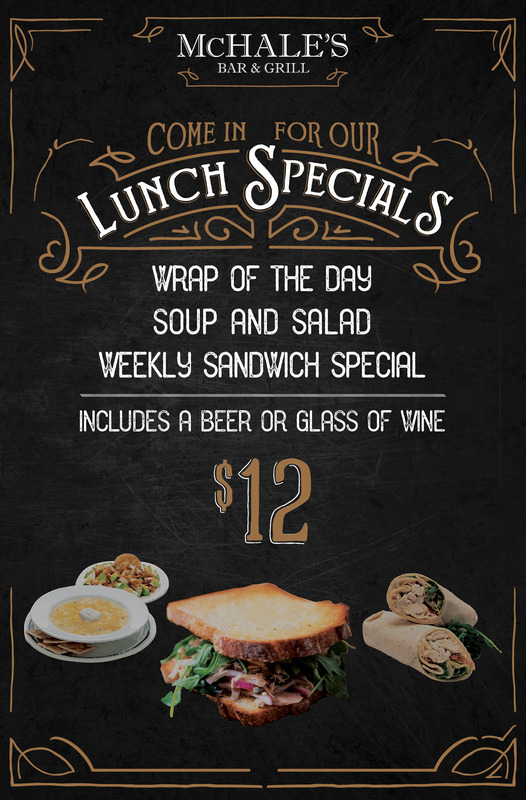 As part of our weekly lunch special NYC series, this week’s ‘Sandwich of the Week’ at McHale’s is our Blackened Chicken Wrap. 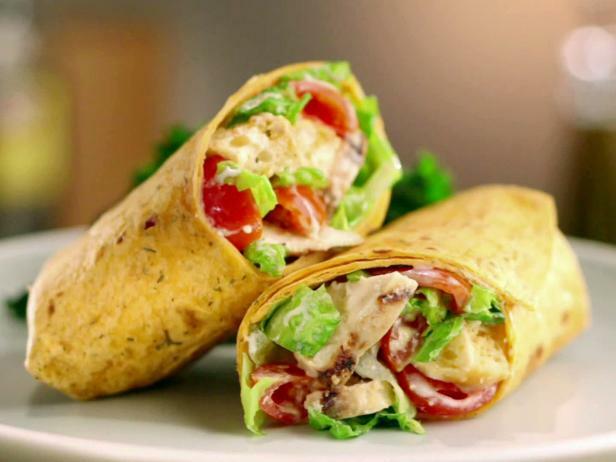 Blackened Chicken with Lettuce, Tomato, Pepper Jack Cheese and Chipotle Mayo in a Flour Tortilla. Served with Homemade Kettle Chips. This Sandwich comes with a glass of wine or a beer all for only $12. You won’t find a better lunch special in the neighborhood. Check back each week because we’ll always have a new SotW. This special runs from Monday, April 16 throughout the week. 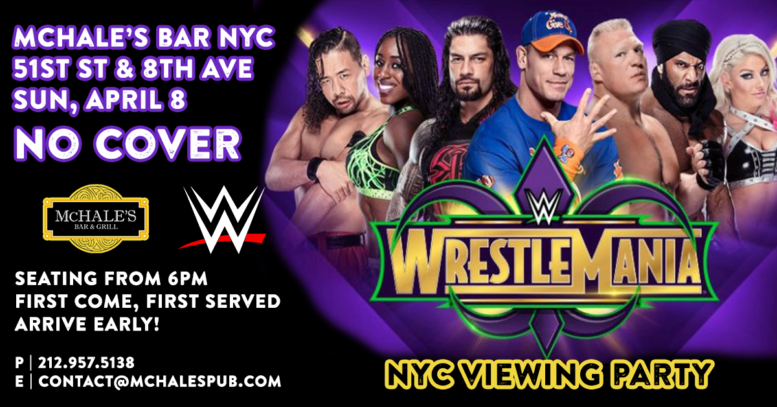 Join us Sunday, April 8th for WWE Wrestlemania 34 live with full audio and pre-show at McHale’s Bar in NYC. This is it, the grandest stage of them all, the one we’ve all been waiting for! We’re expecting a FULL house for this one so please be sure to arrive early! We’ll have pre-show coverage from 6pm. There will be NO COVER for this event, just register your name to guarantee your entry. Reminder that ticket guarantees entry, not seating, so be sure to arrive early if you want seating. Drink and food specials will be available throughout the event. We are close to Times Square and the 1, B, C , D , E, N, Q & R subway trains are all within close walking distance. Hope to see you all on April 8th. Invite your friends and if you have any questions feel free to let us know! As part of our weekly lunch special NYC series, this week’s ‘Sandwich of the Week’ at McHale’s is our Buffalo Chicken Sandwich. 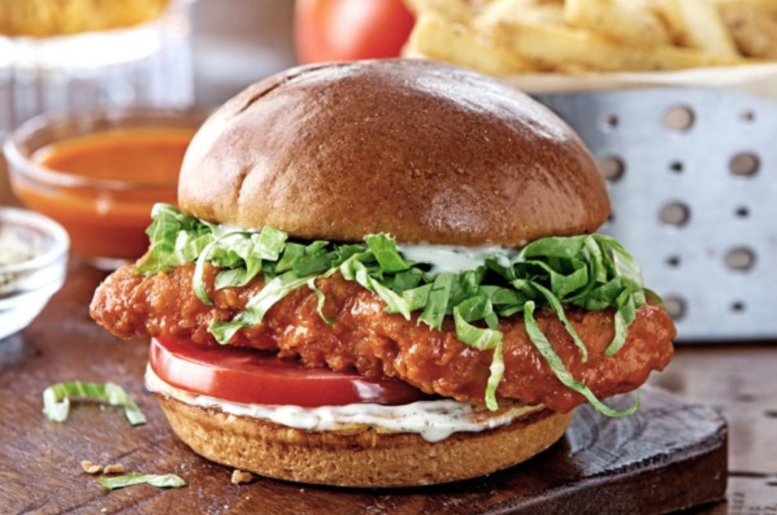 Crispy Chicken Tossed in Buffalo Sauce, with Lettuce, Tomato and Blue Cheese Dressing. Served with French Fries. This Sandwich comes with a glass of wine or a beer all for only $12. You won’t find a better lunch special in the neighborhood. Check back each week because we’ll always have a new SotW. This special runs from Monday, March 19 throughout the week.